I have written previously as to why companies should not use stock photos to promote their business. 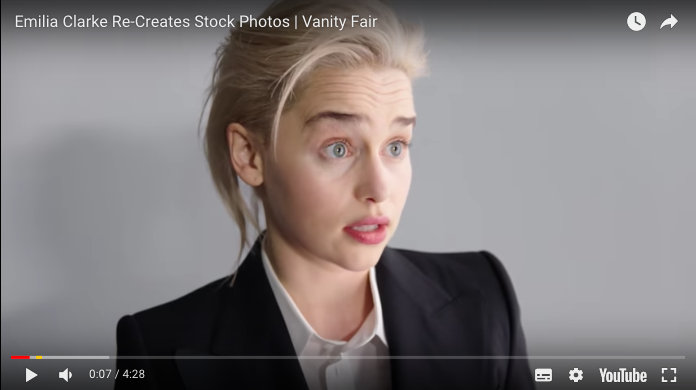 In this very amusing video from the actress Emilia Clarke (Game of Thrones, Solo, Terminator etc.) she brilliantly destroys stock photos. While her video is for comic effect, she is inadvertently pointing out why serious businesses should never use them. They are cliched, the are easy to spot. The people are too beautiful, too gender/race diversity centric, too sharp (studio lighting), too perfect, and I’ll add, too cheesy. My article on why you shouldn’t use stock photos, and some suggestions.